Critically-acclaimed textbook showing that the New Testament teaches that Jesus Christ is God incarnate and explaining why this is of vital importance to the health of the individual’s Christian faith and to the life of the church. The biblical material on this subject is covered under five main themes: the divine honors due to Jesus (e.g., worship, prayer), the divine attributes of Jesus (e.g., omnipotent, eternal), the divine names of Jesus (e.g., God, Lord), the divine deeds of Jesus (e.g., creation, judgment), and the divine seat of Jesus’ throne. Dallas Seminary New Testament professor Daniel Wallace says, “Finally, here is a book that lays out the case for the deity of Christ in clear, compelling, memorable language. 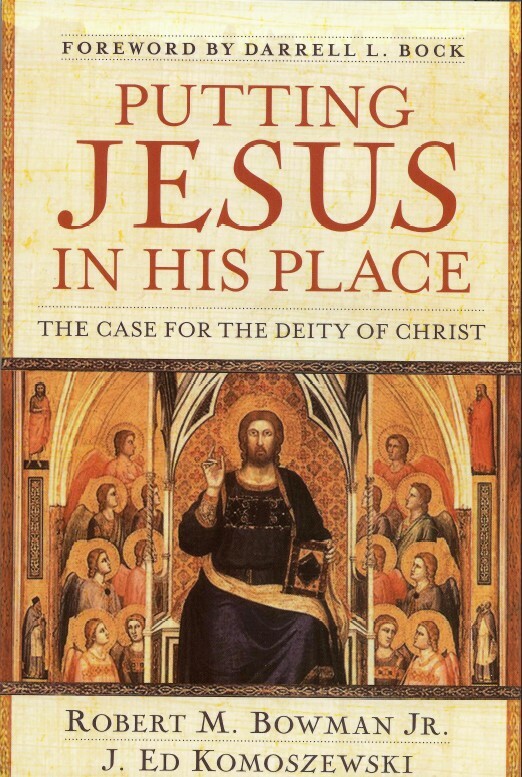 Putting Jesus in His Place fills a huge gap by converting the best of biblical scholarship on the subject into language that anyone can understand.” 392 pages, with nearly two dozen helpful tables.